Investors who purchase investment products through their bank or credit union keep those products longer, an LPL study found. Banking investment customers tend to be affluent. Investors who purchase investment products through their bank or credit union keep those products longer, a study released Tuesday by LPL Financial and Kehrer Bielan Research & Consulting found. Consumers overwhelmingly prefer banks and credit unions to other providers like full-service brokerage firms, online direct brokerages, and insurance and investment companies. 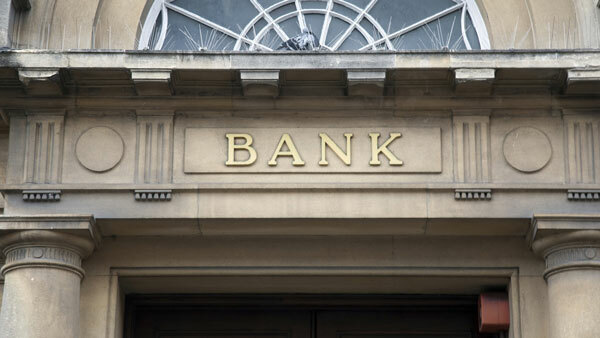 Nine out of 10 said a bank or credit union is their primary financial services firm. However, the number of bank customers who purchase investments through their bank or credit union is low — just 13%. They tend to be sophisticated, though. Almost 40% of those households have between $100,000 and $1 million in assets. More than 10% have over $1 million. In addition to owning investments they purchased through their bank for longer, those customers also keep more of their money in the bank. The report found their checking account balances are 38% higher than other customers, and their savings accounts are 140% higher. They are also “much more likely” to use every kind of credit offered through the bank. The report noted, though, that although those customers have higher average balances than their peers, not all of those assets are held at the same bank they have their investments with. “The data nonetheless demonstrates that investment clients have a greater propensity to maintain large account balances in products that are highly profitable for the institution, making them very attractive clients,” the report found. “Financial institutions are still the most trusted financial services providers, by far, but they have fallen short on leveraging that trust into becoming the primary provider of a client’s overall financial services need,” Dr. Kenneth Kehrer, co-author of the study, said in a statement. Almost a quarter of all respondents said they would not consider changing their primary bank or credit union, but among those who had also purchased an investment there, almost half said they wouldn’t move. Loyalty increases with the number of relationships, too. Almost 58% of households with 10 or more banking relationships at their primary institution said they would not consider changing banks, compared with 36% of those with between one and four relationships. Another marker of loyalty, willingness to give a referral, also increased among banking customers with investment products. Willingness to recommend their bank is already high among all respondents — 78% — but it increased 6% among the investment customers to 82.8%. The report found investment units’ direct contribution to a financial institution’s bottom line is relatively small, with only a few firms adding 5% to the overall net income of the bank or credit union. The real benefit those investment units provide the institutions is creating loyal customers who keep more of their assets there longer. The study is based on data from the MacroMonitor, a retail financial services and marketing database, which surveyed almost 4,300 households, including an oversample of 1,500 affluent households. — Check out Gundlach Enlists Mother Goose to Explain Market on ThinkAdvisor.